Do you have distinct memories of a knight named Arthur who must battle through hordes of the undead in order to rescue the kidnapped princess named Prin-Prin? Well move some of that information over and make room for Battle Princess Madelyn. While BPM takes many key ideas from Ghosts ‘n Goblins, it is also very much it’s own game. Your dog dies (and no, that isn’t a spoiler). There, the sad part is out of the way, don’t worry, he comes back as a ghost dog and helps you in your adventure. 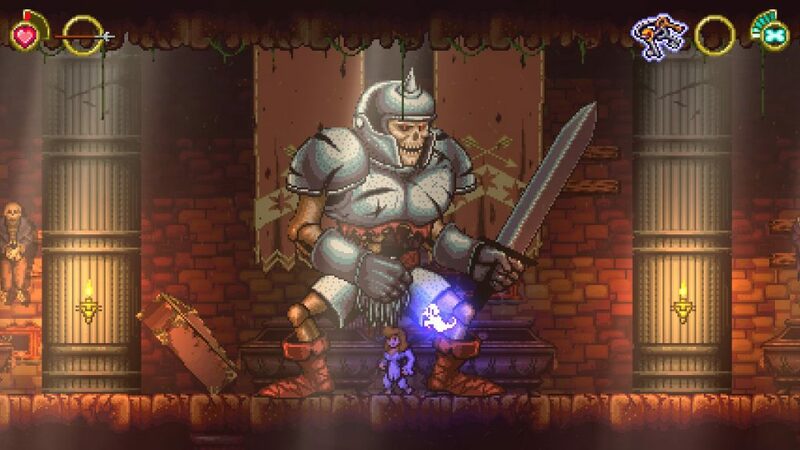 Battle Princess Madelyn is a new indie game that pays homage to the older Nintendo-type action game that many of us grew up playing. However, this makes the princess the knight in shining armor. For that aspect alone it is worth your time. 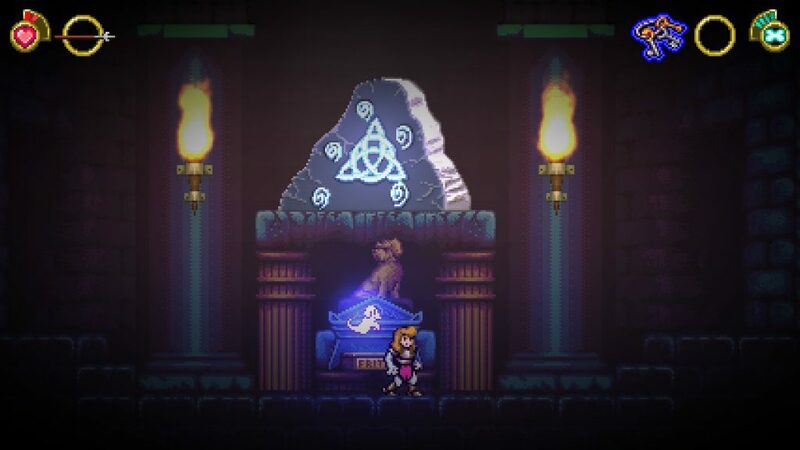 Battle Princess Madelyn finds our heroic royal daughter recovering from her whole family being kidnapped by some evil sorcerer. 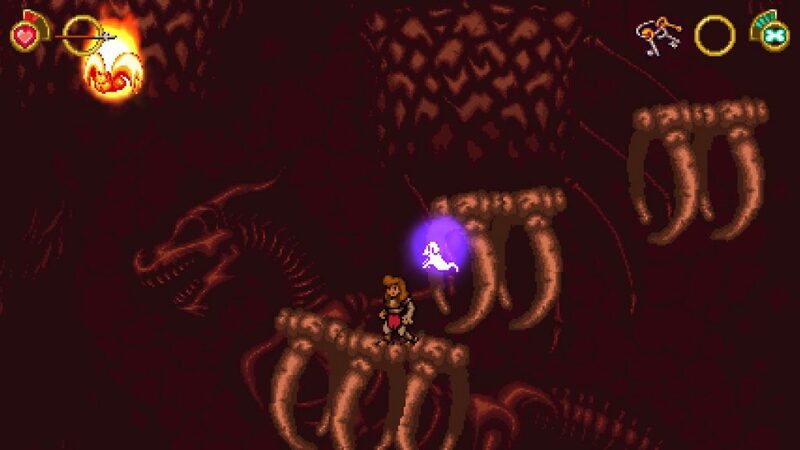 However, in the face of such a tragedy, she sets out to find and defeat this powerful foe with the soul of the aforementioned deceased dog, Fritzy, to help her on her quest. 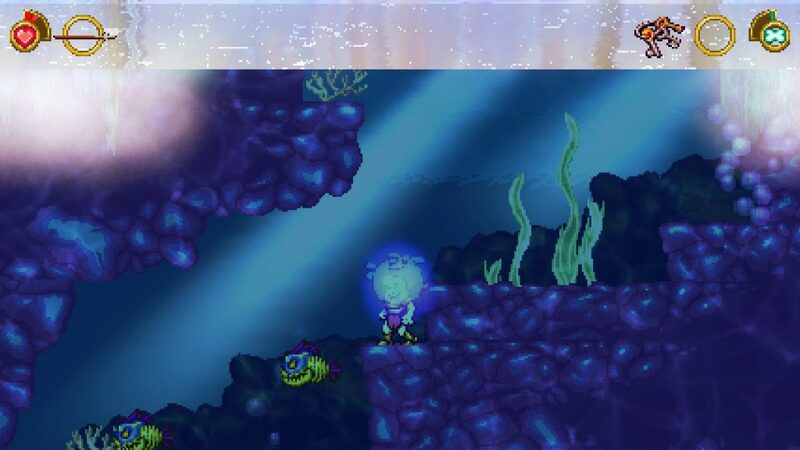 Fritzy is very much there to revive her when she falls in combat. But his ghostly power is refilled by killing monsters, so don’t hold back! Madelyn is very much another woman character that we needed back in the 80s (besides Samus). She travels though creepy crypts and caves. She climbs volcanic peaks and treads dangerous waters in her quest to save her loved ones. It’s a pretty simple premise that has a nice little dash of originality, what with the ghost dog gimmick. There are two play modes in Battle Princess Madelyn. There is the Arcade Mode and the Story Mode. What is the difference? Well, both options follow the same story but present it in a slightly different way. Arcade Mode is short on dialogue/cinematics and cuts right to the fierce action. Story Mode, on the other hand, goes far more in-depth in-game. It features a semi-open world, some more story to progress through, NPCs to interact with, and items and secrets to discover. 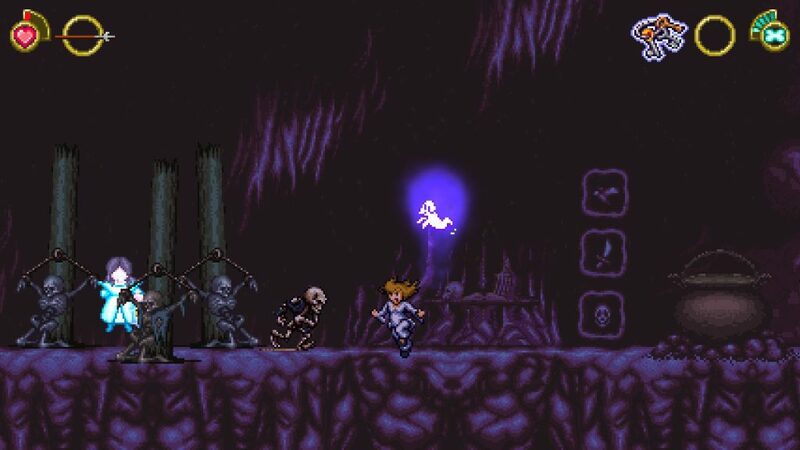 While movement and action in both modes are similar, in Story Mode, Madelyn has to find items needed to progress and gain abilities, whereas, arcade mode, she has a large chunk of the necessary abilities from the start. 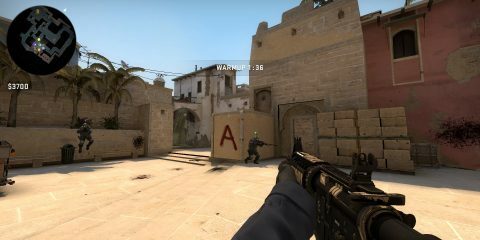 Do you know how some of the new games out there they try and hold the player’s hand and practically spoon feed the objectives? Battle Princess Madelyn has the opposite problem, where it sometimes goes too far and just leaves the player to figure things out for themselves. Don’t misunderstand, this isn’t always a negative aspect. However, it can become a tad frustrating that the objectives aren’t clear. Also, there is no full or mini-map feature and trying to navigate an area to the boss can sometimes end up being more frustrating than fun. This is especially true when, through trial and error, the objective is finally figured out, but then, seemingly out of nowhere, an arrow or some random projectile hits Madelyn’s square in the face during a free fall and your dumb dead dog decides now is the perfect time to start the area over! I will say that there is an enormous sense of satisfaction and accomplishment that comes with completing an area. As you will no doubt guess, along the way through that maddening adventure, Madelyn faces off against various, incredibly fun to fight bosses. Each boss presented a unique challenge that will keep you on your toes. The Boss battles were actually my favorite parts of the game and I wish there were more. Difficult as they were the monsters were imaginative and yet familiar. 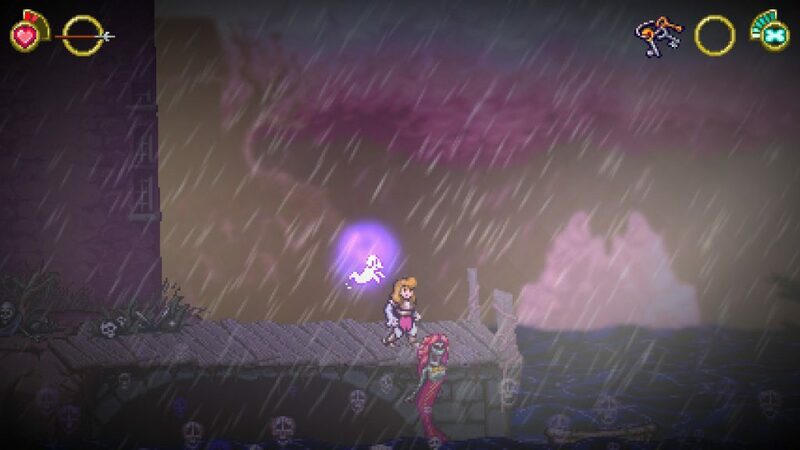 Battle Princess Madelyn is a beauty for fans of the 16-bit era. 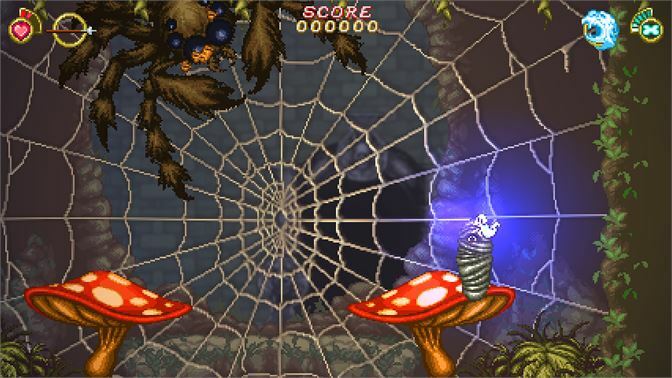 The graphics are in the same classic style of the SNES (and some Sega Genesis) games that influenced it, although BPM requires more processing power than either of those systems could provide. The music is wonderful. I found myself humming it for days. It has this rather whimsical tone. 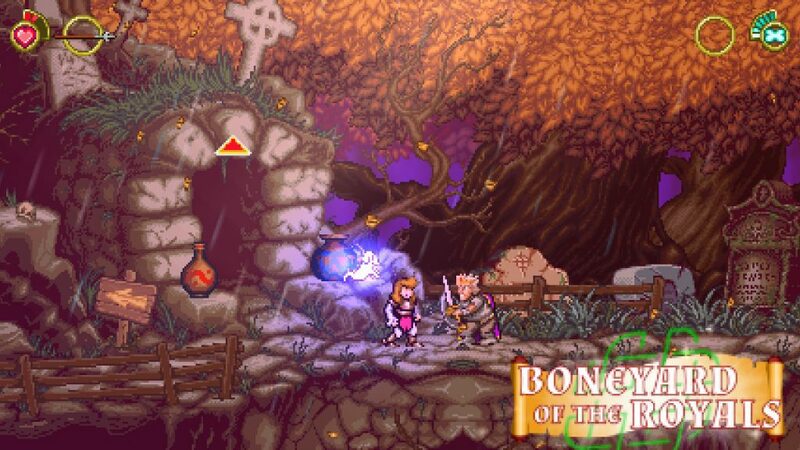 The gameplay is classic 2D-platforming action and it feels just like it came from my glory days as a gamer. As far as recapturing the amazing retro experience, the developers over at Casual Bit Games have really done a great job. It isn’t just the artwork that they nailed though. 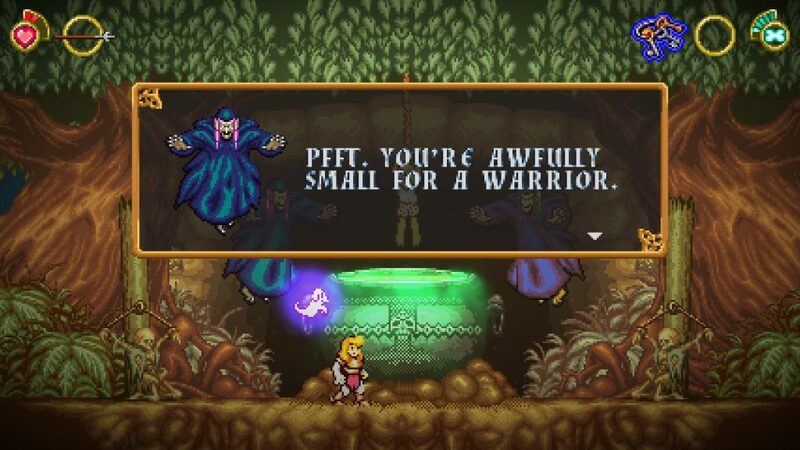 Battle Princess Madelyn has a super cute and very personal touch to it that adds something wonderful to the game. Not only does it have a lovely little lesson of the value of family, but the game was built in part as a father’s message to his real-life daughter. 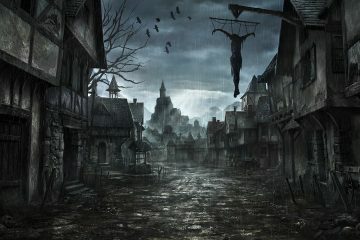 Whether you know that backstory or not, it lends to the story and gameplay a heartfelt tone. The isn’t really a call for the Ghosts ‘n Goblins formula, however, they really took the chance and nailed it. 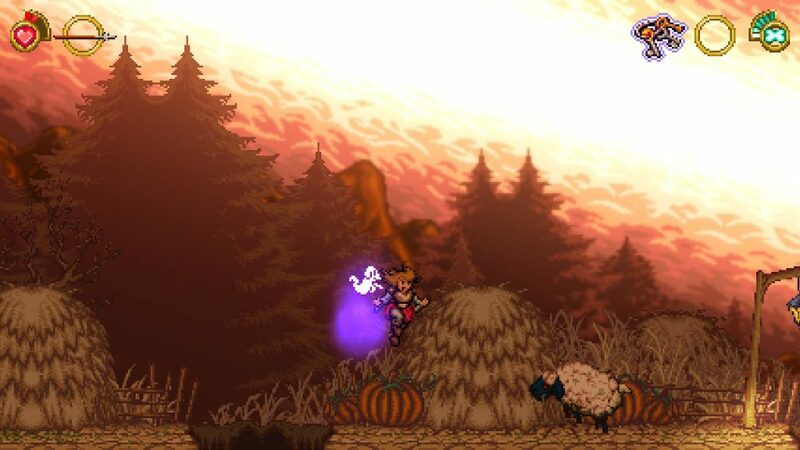 Battle Princess Madelyn looks and sounds fantastic, and the game is a more than a fun throwback to a beloved game series. 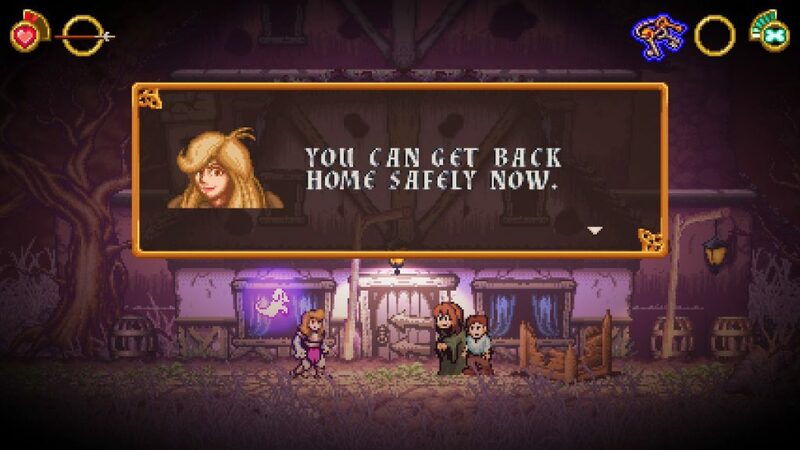 While there are some moments where the objectives were unclear and it caused feelings of frustration, Battle Princess Madelyn nails a wonderfully sad story and retro feel to it. It really does capture everything we love and also everything that makes us thankful for modern progression. The challenge in story mode is tough but not totally unforgiving. If you can play with patience and you study the enemy behavior can eventually overcome anything the game can throw at you. I really do hope we get to see some more adventures with Madelyn and her family; with a few refinements, this macabre, dangerous world would be a lot of fun to explore again. 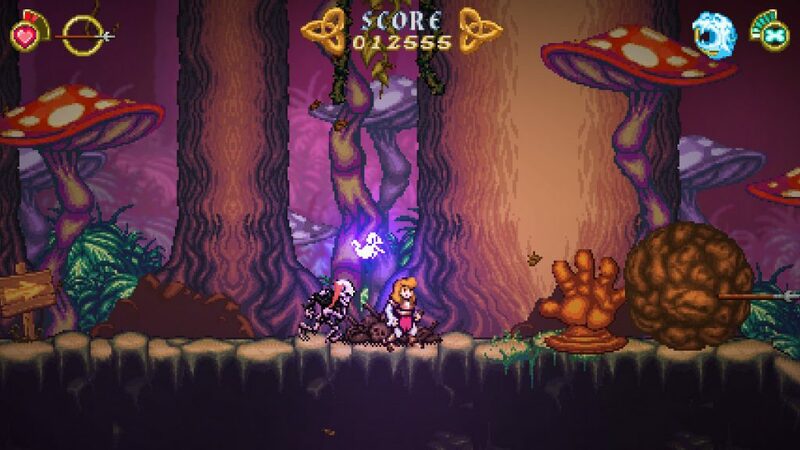 It’s extremely hard not to appreciate the amount of love and time that developers at Casual Bit Games poured into Battle Princess Madelyn. Battle Princess Madelyn is available now on Xbox One, Nintendo Switch, PlayStation 4, and PC for $19.99.